Isothiocyanates (ITCs) are molecules naturally present in many cruciferous vegetables (broccoli, black radish, daikon radish, and cauliflowers). Several studies suggest that cruciferous vegetable consumption may reduce cancer risk and slow the aging process. 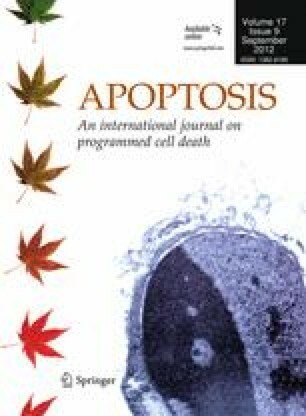 To investigate the effect of ITCs on cellular DNA damage, we evaluated the effects of two different ITCs [sulforaphane (SFN) and raphasatin (RPS)] on the biology of human mesenchymal stem cells (MSCs), which, in addition to their ability to differentiate into mesenchymal tissues, contribute to the homeostatic maintenance of many organs. The choice of SFN and RPS relies on two considerations: they are among the most popular cruciferous vegetables in the diet of western and eastern countries, respectively, and their bioactive properties may differ since they possess specific molecular moiety. Our investigation evidenced that MSCs incubated with low doses of SFN and RPS show reduced in vitro oxidative stress. Moreover, these cells are protected from oxidative damages induced by hydrogen peroxide, while no protection was evident following treatment with the UV ray of a double strand DNA damaging drug, such as doxorubicin. High concentrations of both ITCs induced cytotoxic effects in MSC cultures and further increased DNA damage induced by peroxides. In summary, our study suggests that ITCs, at low doses, may contribute to slowing the aging process related to oxidative DNA damage. Moreover, in cancer treatment, low doses of ITCs may be used as an adjuvant to reduce chemotherapy-induced oxidative stress, while high doses may synergize with anticancer drugs to promote cell DNA damage. Fulvia Zanichelli and Stefania Capasso contributed equally to the research. The online version of this article (doi: 10.1007/s10495-012-0740-3) contains supplementary material, which is available to authorized users.